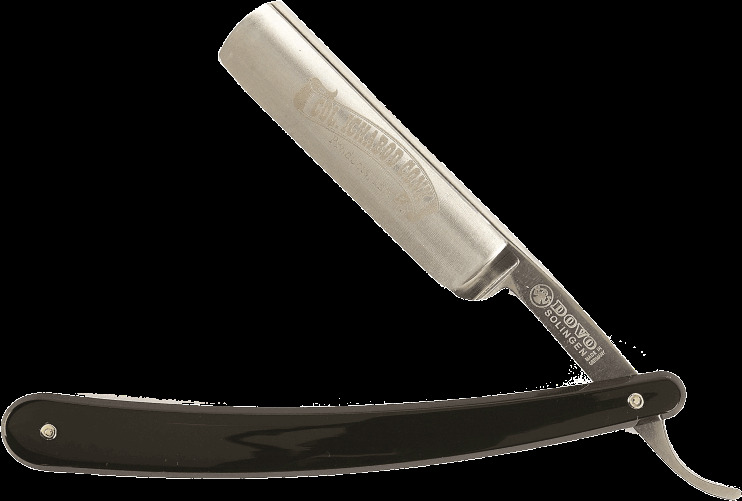 Colonel Conk exclusive 6/8" Straight Razor - Black Handle. With a full hollow ground Carbon Steel Blade. Made by Dovo in Germany.